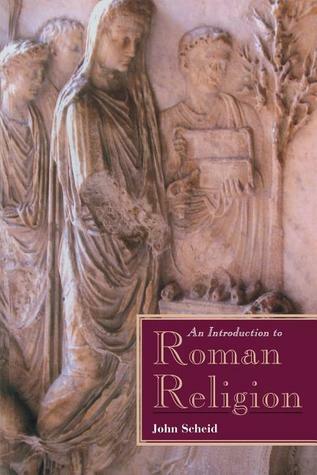 John Schied's INTRODUCTION TO ROMAN RELIGION is a fantastic short beginner's guide to the complicated beliefs and practices of the Roman Republic and Roman Empire. Scheid concentrates on the civic aspects of the religion and how the culture's dependence on rites and omens shaped the society around it. The book takes the reader through the many and often intricate steps that had to be taken in order to honor the gods, and how participation in said activities established a Roman's place in society. The book mainly focuses on practices within Rome itself stretching between the second century B.C. to the rise of Christianity, and pulls from both ancient and modern sources to paint a complete picture for the reader. What keeps AN INTRODUCTION from being a perfect read is that Scheid's interpretation of Ancient Rome feels extremely atheistic. While he dabbles in the philosophical attitudes expressed by prominent Romans at the end of the book, he never quite establishes what the Romans as a whole believed about their own beliefs. While it's repeatedly stated that was no dogma dictating specific interpretations of the gods, it doesn't excuse the lack of a general summary of the major figures of the Roman Pantheon. An unfamiliar reader may feel lost in consequence. Can't really critique Scheid's scholarship, I'm not familiar with the sources he cites, nor am I conversant with the various theories of religious history which he's attempting to refute.But . . . I think he pretty much proved to me that Christian and Roman religious practice were antithetical, and all the saint-worship of the early Catholic church was an awkward adaptation of the Roman custom of worshiping the deity of your choice. I probably should have known that already. As the title suggests this is an introduction. Scheid takes pains to consider controversial historiographic matters at the outset, which allows the subsequent narration to flow smoothly. He sees Roman religion as a civic religion, where ritual was important and belief flexible. The contrast with monotheistic religions could not be greater. I got to this book from an interest in the transition from Roman religion to Christianity. This book was very helpful in allowing me to appreciate that process. Roman religion and what it was like. Was it based on deep beliefs or altruistic rituals? This is a great place to start to find out. Thoughtful, probably good for sixth-formers.